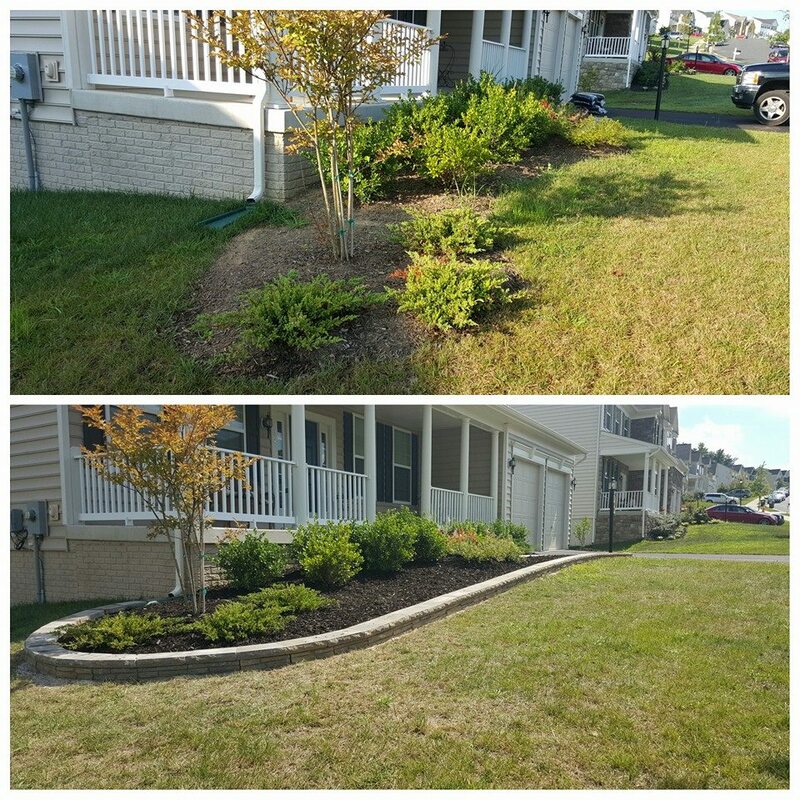 Affordable Lawn & Landscaping offers full range of landscaping & hardscaping services. Serving Fredericksburg VA, Stafford and Spotsylvania County Virginia. Call or email for an estimate today. 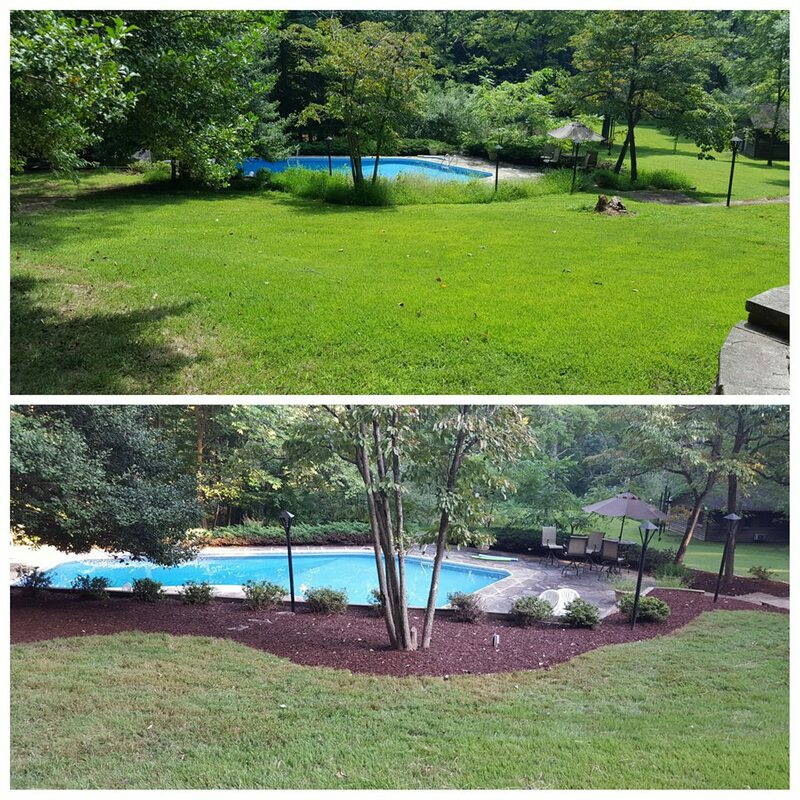 Affordable Lawn and Landscaping offers a full range of landscaping and hardscaping services throughout the Fredericksburg Virginia area including Stafford and Spotsylvania Counties. Our goal is to provide our customers with the best quality and professional landscape maintenance services and hardscaping projects. Our customers include both commercial and residential customers in the Fredericksburg, Stafford and Spotsylvania areas. Our landscapers are equipped to provide quality services to a variety of property sizes from the smallest yards to the exclusive estate properties and all commercial market accounts. Installed a French drain. Remove old mulch from where trees had been removed in front yard. Top soil added where needed and graded front yard. Thatched and aerated front and back yard and added seed. Added straw where needed. Cut out and prepared flower beds in front of house and installed garden mix soil and plants we purchased for the beds. Mulched flower beds with mulch that was included in price. "It went well. It’s obvious that Steve Mills is knowledgeable and truly cares about the work and service he provides. Steve is professional and pleasant to work with. He answered all of our questions and provided us with a quote in a timely manner. Once the work was completed he provided us with instructions on how often and how long to water for the new seed to germinate. We have some problem with the grass not filling in in the front yard area where the trees/stumps had been. When we told Steve, he had his crew come back and reseed the area and we are hoping it will eventually grow in."